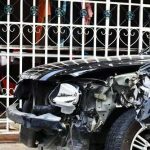 If you were in an auto accident where the other driver did not have insurance, contact our experienced Buffalo Car Accident Attorneys to fight for you! 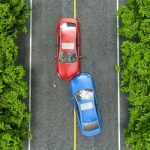 I am often asked as a Buffalo Car Accident Attorney about what can happen if you are injured during an accident where the other driver does not have insurance. If you carry an insurance policy in New York, you are required to have SUM coverage which stands for Supplementary Uninsured Motorists protection. This means that if you are injured in an accident and the person has no insurance or is underinsured, that you can go to your own insurance company and seek the benefits you need. I advise clients as a Buffalo Car Accident Attorney that you can also get Under-Insurance which allows you to get extra money from your own insurance if the other driver does not offer a big enough policy. This short informational legal video was provided by Robert Maranto, an experienced Buffalo Car Accident Attorney.